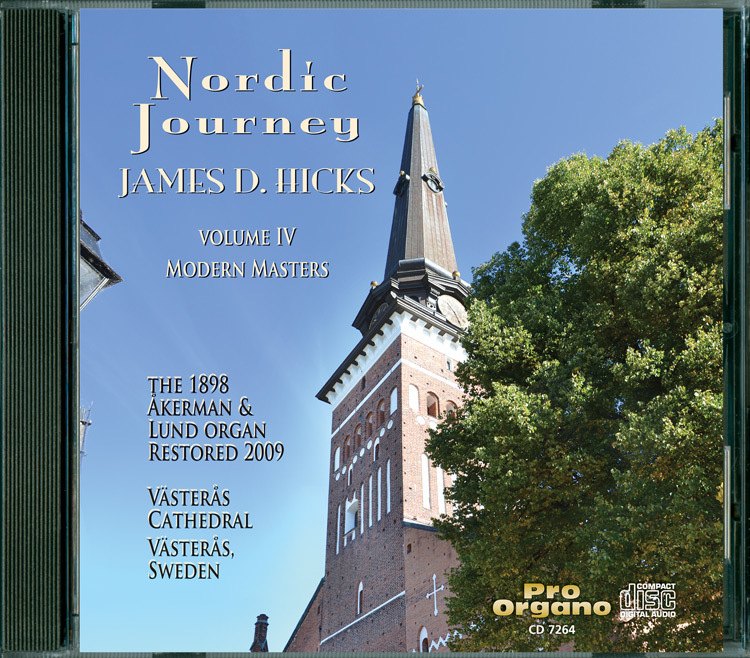 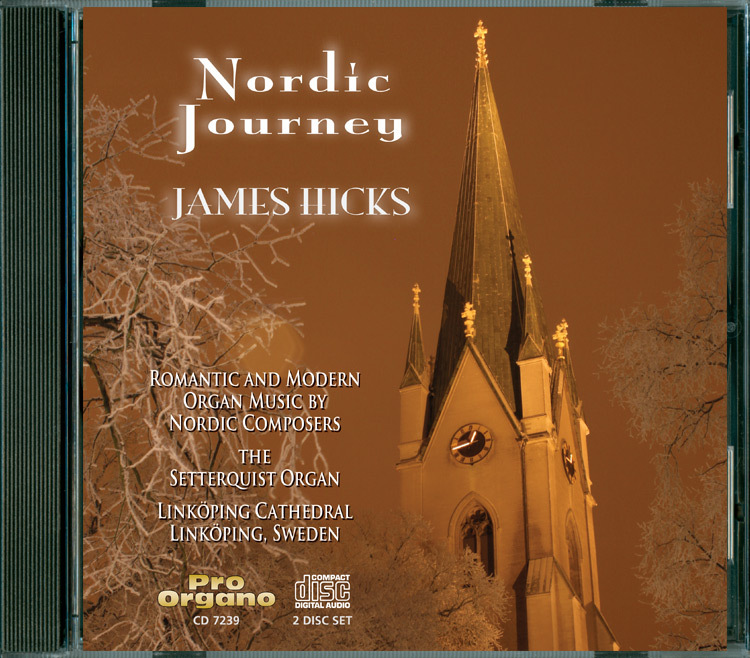 American organist, James Hicks, has assembled a program spanning two Compact Discs, and offering a sampling of the finest in organ literature from Nordic composers from the late 19th century through the current age, including new, commissioned works by Swedish composer Fredrik Sixten. 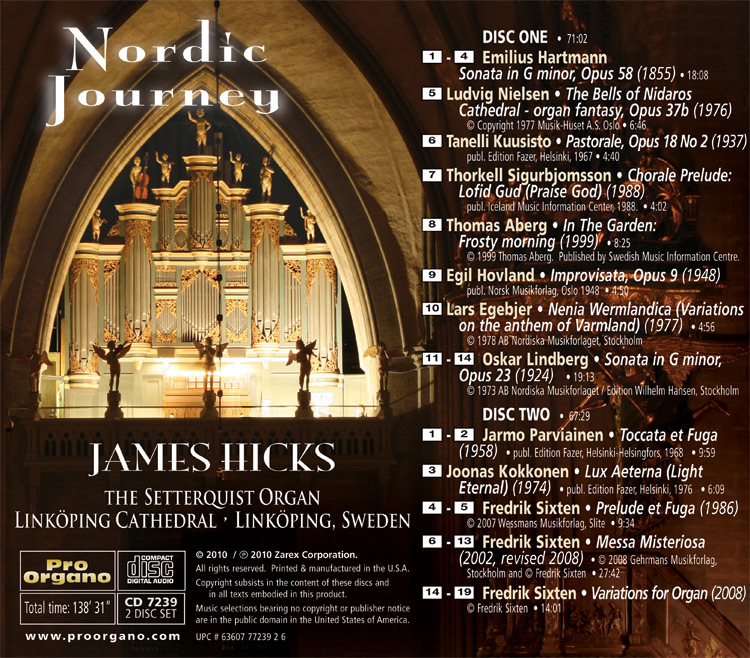 The organ is the 1920s-vintage symphonic organ by Setterquist at Linkoping Cathedral, Sweden. 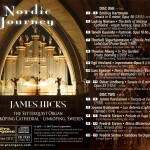 Available as Double-CD. 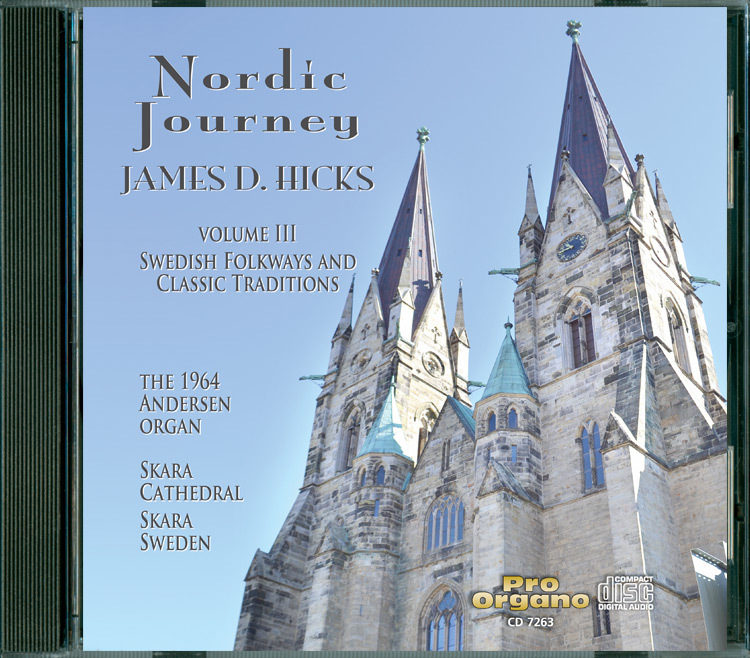 In Stock. 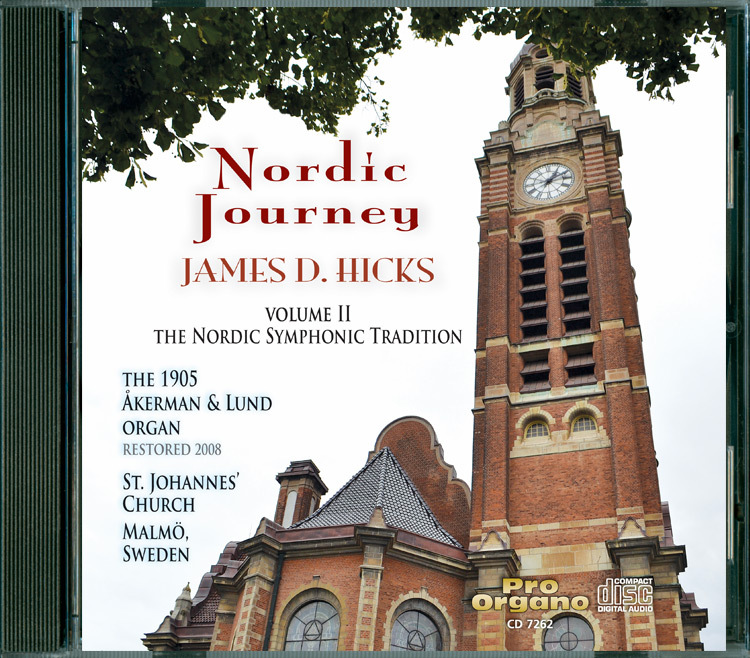 Track Samples and MP3 download tracks coming in August, 2015.